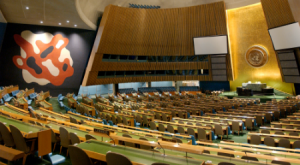 The General Assembly is one of the six main organs of the United Nations, the only one in which all Member States have equal representation: one nation, one vote. All 193 Member States of the United Nations are represented in this unique forum to discuss and work together on a wide array of international issues covered by the UN Charter, such as development, peace and security, international law, etc. 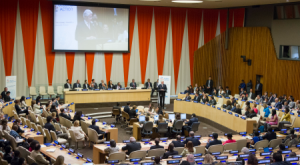 In September, all the Members meet in the General Assembly Hall in New York for the annual General Assembly session.